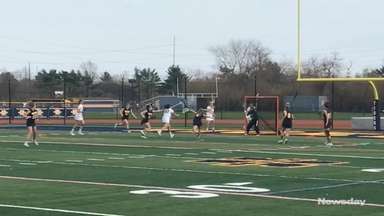 The Wildcats' junior righthander sets a Long Island record in shutout of Hauppauge. Crowley has thrown 25 consecutive hitless innings since allowing his only hit of the season. 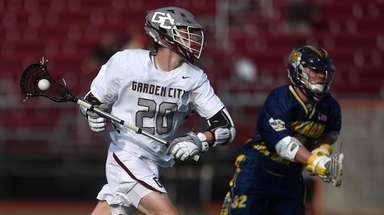 Aidan Crowley has been nearly unhittable this season. 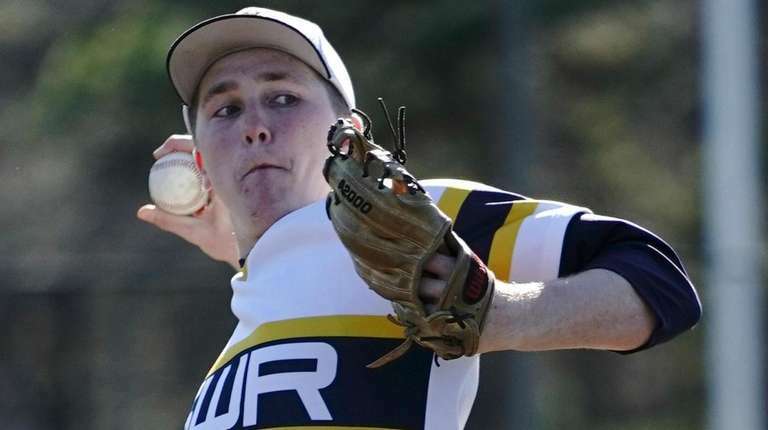 Shoreham-Wading River’s junior righthander allowed a sharp line drive to East Hampton leadoff man Kurt Matthews in his first start this season – and that was three weeks ago. It’s the only hit Crowley has allowed all year. Imagine that, 25 consecutive innings of no-hit ball, including a Long Island-record three straight no-hitters. 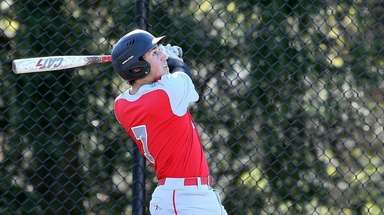 Crowley etched his name in the history books when he no-hit Hauppauge, 6-0, in a non-league game Tuesday at the Medford Sports Complex. He struck out Alex Knopf looking at a wicked breaking ball to punctuate a 10-strikeout, four-walk performance on 94 pitches. He was mobbed by his teammates and coaches as he came off the mound. His record improved to 4-0 with 26 innings pitched, one hit allowed, 40 strikeouts and 11 walks. Crowley mixed an 87-mph fastball with an effective curve to keep Hauppauge off balance. He struck out at least one batter in every inning and fanned two in the fourth, fifth and seventh. Crowley and Hauppauge’s junior ace, Ryan Levenberg, were locked in a scoreless duel through five innings. That changed in the sixth, when the Wildcats rallied against Levenberg, who had eight strikeouts to that point. With one out, Mike Smith walked, Nick Bettenhauser singled and Jared Sciarrino walked to load the bases. 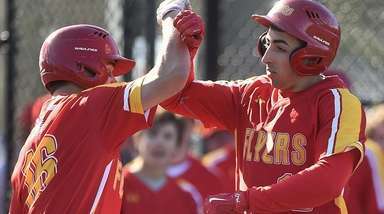 Everett Wehr worked a full count against Levenberg and fouled off two fastballs before launching a grand slam, the first home run of his varsity career. Hauppauge coach Josh Gutes was impressed with both pitchers. Three Yastrzemski Award winners threw back-to-back no-hitters in recent years, but the third one always proved elusive. 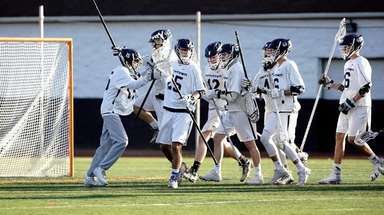 Riverhead’s Matt Crohan, Hauppauge’s Nick Fanti and Shoreham-Wading River’s Brian Morrell flirted with the chance to rewrite the history books and came up short. Crowley put this one in the books. 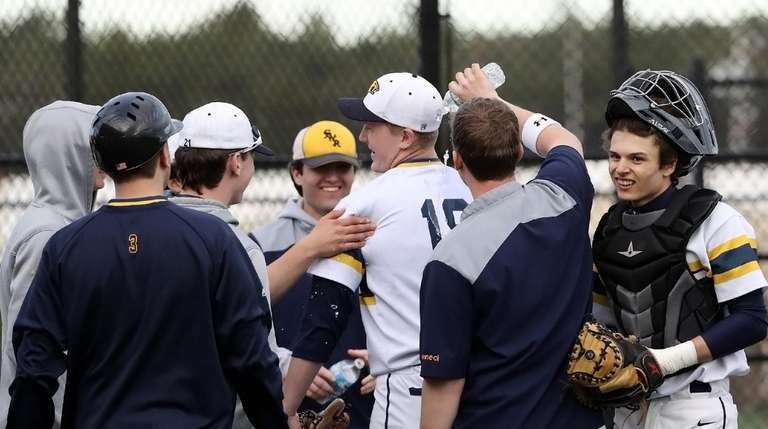 Shoreham-Wading River vs. Hauppauge baseballShoreham-Wading River defeated Hauppauge, 6-0, in a Suffolk baseball matchup on Tuesday, April 16, 2016.